A cheat sheet guide to who controls the internet. What’s ICANN? What are the biggest debates in internet governance? And more. 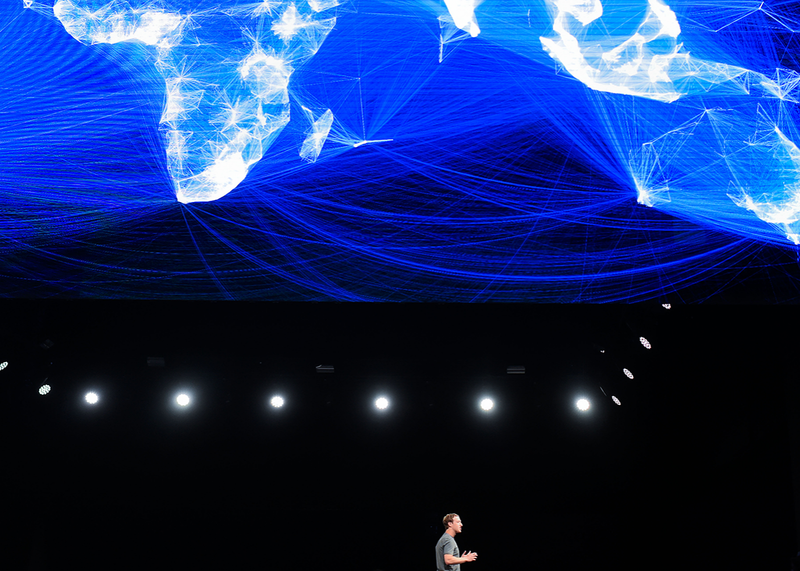 Facebook CEO Mark Zuckerber speaks on Feb. 21 in Barcelona, Spain. Ted Cruz: Cruz, a Texas senator, made headlines when he opposed the Obama administration’s privatization of ICANN, claiming it meant the U.S. was giving up control of the internet. Laura DeNardis: DeNardis is a communications professor at American University whose research explores the power structures that have shaped internet policy. Göran Marby: Marby serves as president and CEO of ICANN, a role that has him overseeing the organization’s separation from its former relationship with the U.S. Department of Commerce. Rebecca MacKinnon: MacKinnon, a co-founder of Global Voices Online, has challenged the entanglement of corporate interests and national politics in internet governance. Milton Mueller: A professor of public policy at the Georgia Institute of Technology, Mueller co-founded the Internet Governance Project, which aims to democratize internet policy and protect net neutrality. Xi Jinping: As president of China, Xi has pursued a policy of internet sovereignty on the global stage. Mark Zuckerberg: In his quest to help provide universal internet access, Facebook founder Zuckerberg has come to advocate for zero-ratings services, which provide a free but limited version of the internet. Concentration of corporate power: While the internet itself is decentralized, a disproportionate amount of traffic passes through a small handful of privately owned sites and services such as Google and Facebook. Will these companies become the de facto stewards of the internet? Public participation: In theory, internet governance institutions such as ICANN are open to all stakeholders, including ordinary citizens. But how open are they? Can we develop systems that ensure everyone has a voice—and knows how to contribute? New Cold War? : Some fear that as the United States cedes control over internet policy, other governments will step in to fill the vacuum. Should we worry that Russia, China, or some other nation with a questionable human rights record will impose its will on the web? Restrictive regulations: The relatively ad hoc quality of internet governance has helped ensure that almost anything goes online. Attempts to further normalize its standards—whether they come from ICANN or the United Nations—might rein in that chaos. Can the internet survive attempts to control it? Universal access: Advocates argue that internet access should be a basic human right, a contention that chafes against the structure of zero-ratings services and, arguably, the fundamentally decentralized nature of the internet itself. Can we get everyone online without disrupting the things that make the internet powerful? ICANN: The Internet Corporation for Assigned Names and Numbers, a nonprofit that establishes naming standards on the internet to ensure that computers can communicate with one another. Internet governance: The collective guidelines and systems that determine how the internet functions. Internet sovereignty: A principle holding that countries should have the right to regulate how those within their borders experience the internet. Interoperability: The capacity of computers to communicate with one another across distinct networks. Net neutrality: The idea that all users should have unfettered access to the internet, free of interference from service providers. Walled garden: An online environment that limits what users can do while online by directing them toward specific platforms and cutting off others. Zero-rating: A controversial service that allows internet users to access certain sites or apps without accumulating data charges. Consent of the Networked: The Worldwide Struggle for Internet Freedom, by Rebecca MacKinnon: MacKinnon surveys the complexities of protecting civil liberties online. “Map of the Internet” from Quartz: This package of articles and essays explores the physical infrastructure that supports the global internet, demonstrating how those systems shape policies and practices around the world. Opening Standards: The Global Politics of Interoperability, edited by Laura DeNardis: In this volume, a wide array of experts discuss the political and economic factors that inform policies and practices underlying the open internet. The Real Cyber War: The Political Economy of Internet Freedom, by Shawn M. Powers and Michael Jablonski: Powers and Jablonski argue that national priorities inform internet policy around the world. “What Do We Save When We Save the Internet?,” by Ian Bogost: In this elegiac essay, the Atlantic’s Bogost worries that attempts to protect the “free and open internet” may actually serve to reinforce the socio-economic status quo. This article is part of the “Who Controls the Internet?” installment of Futurography, a series in which Future Tense introduces readers to the technologies that will define tomorrow. Future Tense is a collaboration among Arizona State University, New America, and Slate.